REDUCED! 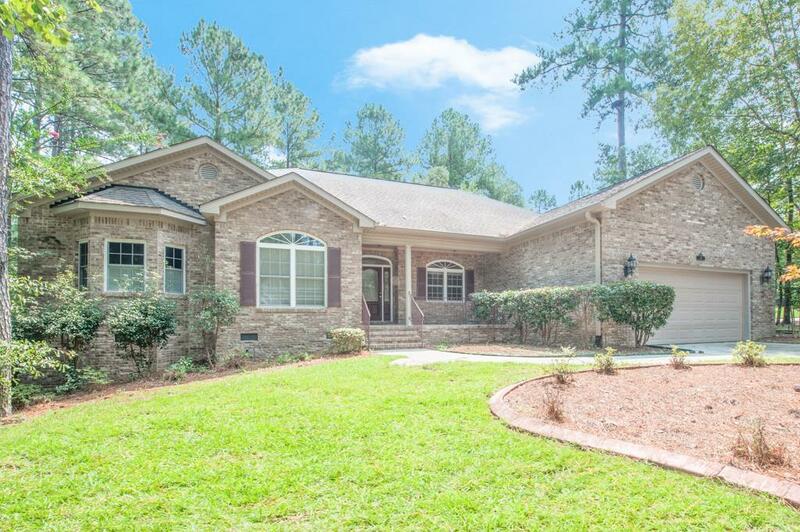 Beautiful all brick with welcoming rocking chair front porch, office, living room plus family room! 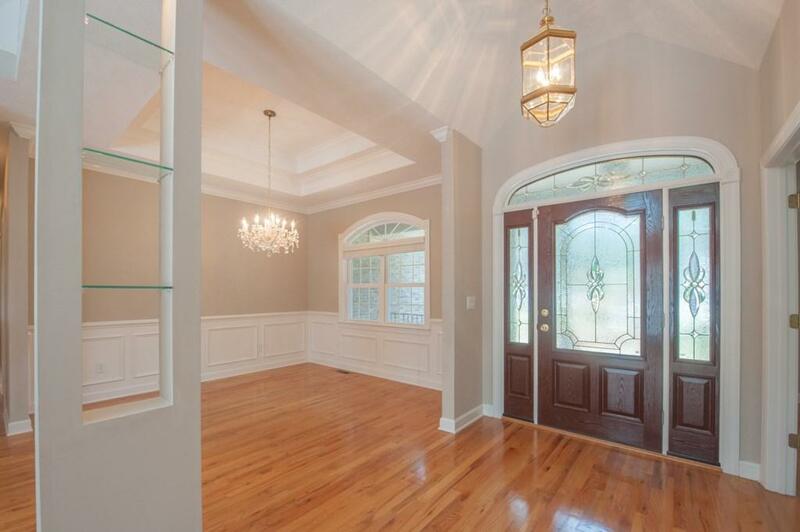 Gorgeous hardwood floors! 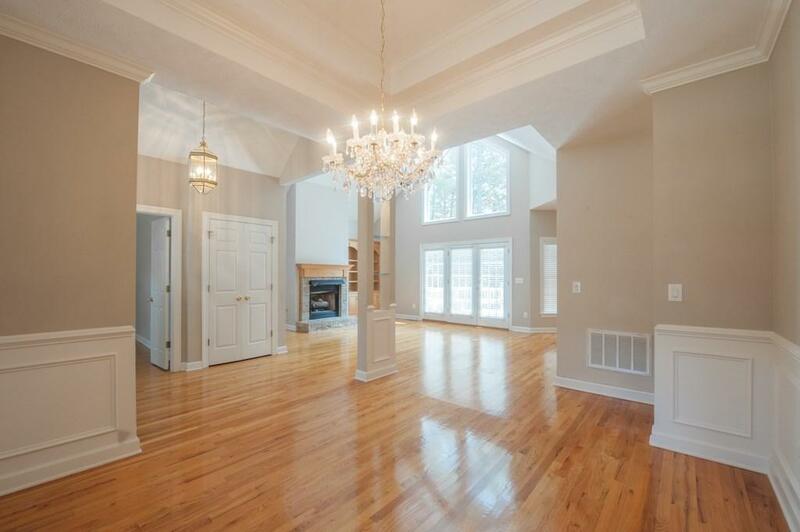 Nice open floor plan! 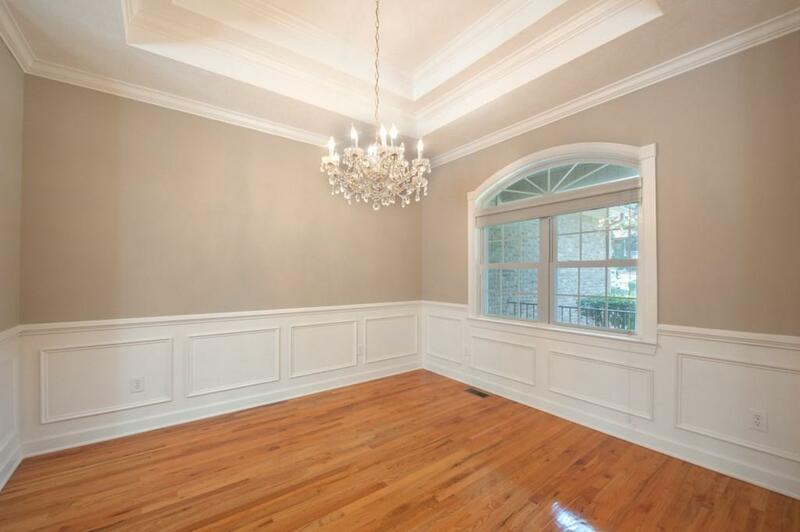 Incredible dining room with tray ceiling & wainscoting! Huge living room with fantastic gas fireplace, built ins & vaulted ceiling with awesome upper windows makes this home light and cheery throughout! Kitchen opens up wonderfully to living room & breakfast room with corian counter tops, great breakfast bar, desk area, built in microwave & all appliances staying! Plus nearby awesome media room/man cave/bonus room! Split bedroom plan with large owners suite with sitting area, double sink vanity, soaking tub, separate shower plus large walk in closet, upgraded ceramic tile floor plus plantation shutters! Spacious spare bedrooms! Nice spare bath with large vanity & ceramic tile floor! Screened porch! Deck great for grilling out! Nice level backyard! Great neighborhood amenities & a fabulous area for walking with your favorite pet!